← Guess who made the NEWS?!?! THIS GAL! So much has been happening here at Because I Read So! So much stuff, really, that I am losing track of it all! Me… A total nervous WRECK! 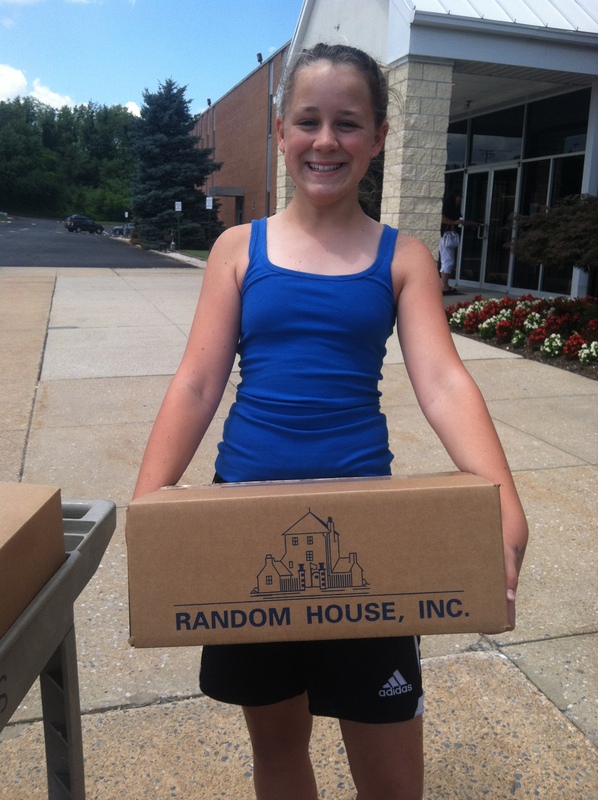 On Friday of last week, my Dad and I stopped by the Random House offices in Westminster, Maryland and left with cartons and cartons of YA and Juvenile BOOKS! Our car rode very VERY low! On SUNDAY, THIS appeared in the York Daily Record! That’s where I first read the article about library funding! And THEN… on Monday, WGAL 8 showed that interview with ME (ohmygosh ohmygosh ohmygosh) (oh, and my mom a little too 🙂 ) about Because I Read So and the fantastic people that have donated already. You can watch it by clicking on that linky thing up there. I am just waiting for someone to PINCH ME and wake me up! I can’t believe it’s really WORKING!!! Oh, and also, I just cannot WAIT to see the librarian’s FACES!!! And… to take out some of those BOOKS! I have ITCHY library book CHECK OUT fingers! THANK YOU SO MUCH to EVERYONE for making this happen and for making a DIFFERENCE! Keep an eye out for a new book review coming SOON!